Playful Kitty is bored! Your task in this cute physics puzzle is to get the ball of wool to the cat so it can play with it. Timing is crucial: play strategically and make sure to remove the correct obstacles to make the wool fall down. Can you make the kitten happy and collect all three coins in every level? 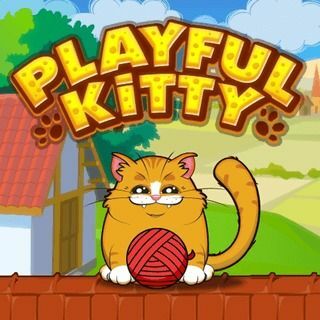 Playful Kitty - Find Playful Kitty in our vast HTML5 games catalogue. Only the best and newest HTML5 games for all audiences. Guaranteed success with Famobi.